The world is becoming more and more conscious about what it throws out. Paper and plastic have efficient recycling practices, but textiles still have a lot to improve on. 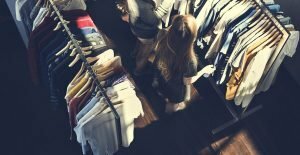 Fast fashion has come under fire for the wasteful nature of its business model as the public becomes more educated how their clothes are produced. But how can you, a single consumer, make a difference? The answer is simple: vote with your wallet. Many of the factories fast fashion products are produced in are structured to have the highest efficiency possible for the lowest cost. Since the garment factory collapse in Bangladesh in 2013 that left over 1,000 dead, the conditions for factory workers have been led to some steps taken into improving these conditions, but 14-16 hours days in 6 day work weeks with low wages are common. Some materials sourced for these factories could have come from forced labour, such as cotton producers. A CBC article discovered that 85% of discarded clothes end up in a landfill. 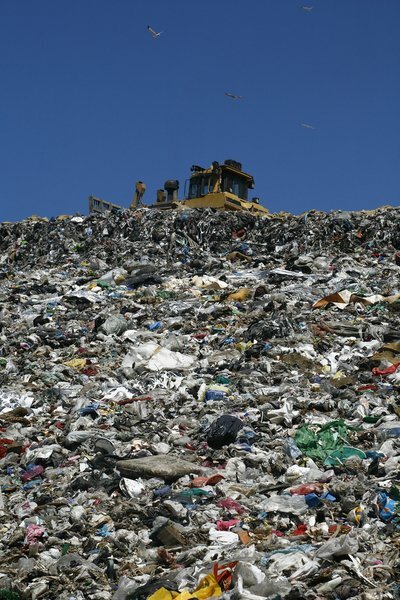 In North America alone, 12 million tonnes are dumped into trash heaps. Canadians on average buy 70 new pieces of clothing a year. That is a lot of new waste entering the loop. CBC Marketplace reported only 1% of donated clothes (for example clothes dropped in bins located in fashion outlets) are broken down and recycled into new garments. H&M reported only 0.7% of their clothes come from recycled material in a 2016 sustainability report. There are many options available today to buy and recycle used clothes. If consumers trend towards more sustainable fashion options, large producers will be forced to adapt. So you can buy used clothing, that is the easy part. 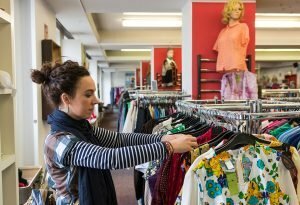 The price point of used clothing only makes it easier, but what about when you are done with them? 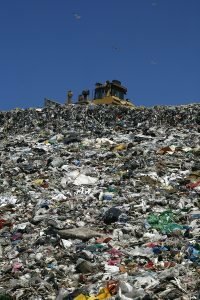 What do you do to ensure the shirt you no longer wear or pants that have become too tight don’t end up in a landfill? Be diligent in research and find a trusted community donation bin or go directly to the charity itself are your best options. Turn old clothes into something new with some creativity, or give them to a friend who always liked it. Here at Bank & Vogue, we do our part as a credential and used clothing wholesaler to contribute to the closed loop fashion economy. We started with the desire to provide a service to the Salvation Army and have since grown into something much larger. We operate our own chain of stores, Beyond Retro, that sells vintage and up-cycled clothing we collect. Credential clothing (bags of unsorted clothes from donations & unsold inventory from stores) is sent to places where they can find a second life. Interested in getting involved in solving the “crisis of stuff?” Contact us to find out more about how you and your business can help close the loop!